In September 2011, AICPE, the Italian Association of Aesthetic Plastic Surgery, was founded, finally filling a gap in Italy. Indeed, while it was something new for Italy, the contrary is true for many other European and non-European countries in which associations representing all those interested in aesthetic plastic surgery coexist in harmony with associations of reconstructive plastic surgery. 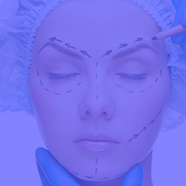 The association now represents more than 300 plastic surgeons.